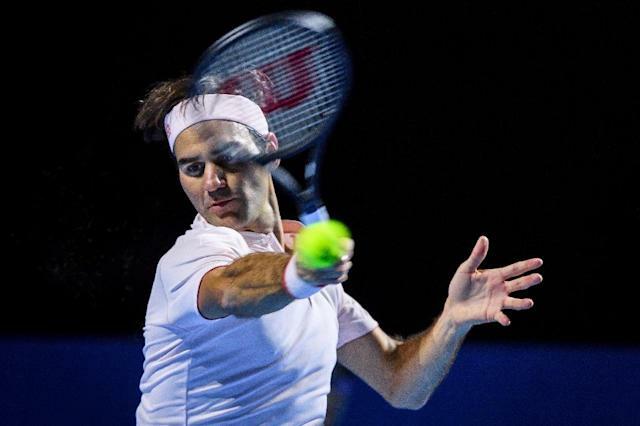 London (AFP) - Roger Federer said on Friday he is focused on winning the ATP Finals for a seventh time rather than the 100th singles title of his glittering career as he looks to end 2018 in style. The Swiss 20-time Grand Slam champion is playing in the season-ending finale for a 16th time and has tasted victory on a record six occasions -- twice in London, twice at Shanghai and twice in Houston. The world number three has won four titles this year, including a second consecutive Australian Open, and stands on 99 career singles titles -- second only to retired American Jimmy Connors, who amassed 109. "I don't think it matters really where I win my 100th as long as it's going to happen at one point," said the 37-year-old, who has not won the ATP Finals since 2011. "That's going to be exciting. I think if I won here it's more about winning the World Tour Finals and not about winning my 100th. "I love playing this event. I always have, ever since I qualified for the very first time back in 2002. That was a massive highlight in my career to be among the best eight and I actually had a great run too, that very first time in Shanghai." "Maybe Wimbledon and the US Open didn't go the way I was hoping but those were really the only two disappointments of the season," he said. "I won a bunch of tournaments again, played great at the Australian Open." "I've just had a really solid season and I stayed injury-free also in particular for most of the year so I'm actually very happy with this season so far," he added. "I've got one more left so hope I don't go on vacation with three losses." "It's really only Novak (Djokovic) who can say at this point 'If I play as well as I have done the last few months maybe I can also win the World Tour Finals' but not even that is a given because, especially in the best-of-three-set matches indoors, margins are slimmer so you can slip fast. "I've played well since 2011 even though I didn't end up winning the World Tour Finals any more but I feel like I've done well and it doesn't feel like it's that long ago. I just feel like there was always a couple of guys maybe just a little bit better during that week."